Make Mine Rare...but Well Done! Of all the many challenges you face in running a theatre, one of the most daunting has to be deciding what to produce. Whether youre planning an eight-show year-round schedule, a six-show summer season or your spring high school musicalpicking the show never gets easier. 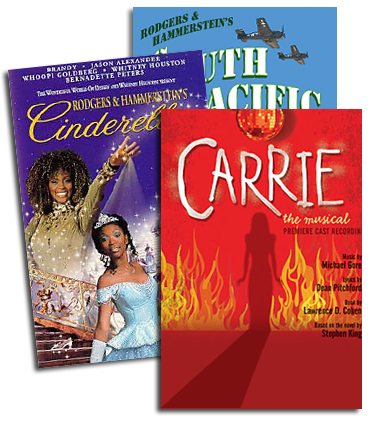 In our ongoing effort to help you with this never-ending struggle, the question we get is always the same: What new musicals have you got? Of course you want to add variety and texture to your season. You want to present to your audiences something thats new to them. 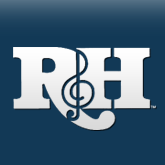 The R&H Theatricals catalogue is rich with interesting, entertaining and thought-provoking musicals for every taste. Below is the first of an ongoing feature that will tell you about some of our more rarely performed, but wonderfully crafted musicals. If your theatre produces works by contemporary writers, look to Ricky Ian Gordon, Adam Guettel and Michael John LaChiusa. Queenie, the vaudeville chorine, and the vicious Burrs are a wild couple who decide to gather together a dozen or so of their more interesting friends for what turns into THE WILD PARTY. The combination of these substantial personalities in the volatile atmosphere of Queenies and Burrs flat is a recipe for. well, discover for yourself. Artifice and illusion are stripped away in the music and lyrics of Michael John LaChiusa and the intriguing book by LaChiusa and George C. Wolfe, who drew inspiration from Joseph Moncure Marchs 1926 poem, The Wild Party. LaChiusa reinvents the 1920s Prohibition Era with a challenging, jazzy and raucous score that will highlight talented performers and musicians alike. While THE WILD PARTY, with its mature subject matter, may not be appropriate for school performances, this Tony-nominated show manifests a sobering morality tale that mixes the vaudevillian roots of Broadway with its present-day artistry. This powerful re-telling of the tragic Medea myth by Michael John LaChiusa was hailed by the San Francisco Examiner as A major work by one of the most highly regarded new serious songwriters for the stage. Set in the twilight years of the 19th century, MARIE CHRISTINE chronicles a doomed heroines journey from her genteel life of privilege in New Orleans Creole society through betrayal and incomprehensible vengeance in boisterous Chicago. This gripping tale of one headstrong and passionate young womans all-consuming love for an ambitious sea captain provides a tour-de-force for its leading lady. When it premiered at the esteemed Lincoln Center Theater, the New York Daily News found it to be A brilliant re-working of Medea [that] manages at once to make it fresh and to retain its gut-wrenching compulsion. MARIE CHRISTINE is an extraordinary creation that investigates unsettling mysteries of the psyche as old as the human condition itself. When Floyd Collins sets out to find his fortune under the Kentucky ground, he uncovers fame and notoriety he never expects. Based on a true story, FLOYD COLLINS is a visionary musical about family, faith and the American Dream by Tony Award-winning composer/lyricist Adam Guettel (THE LIGHT IN THE PIAZZA) and book writer/lyricist Tina Landau. When Floyd gets trapped in his newly found Sand Cave, a media circus erupts to fuel the hysteria and manipulate the nation into holding its collective breath. Highlighted in The New American Musical: An Anthology from the End of the Century, and wrapped in Guettels complex and invigorating score, FLOYD COLLINS offers a timely haunting legend with modern voices that speaks to the struggles of the American dreamer.